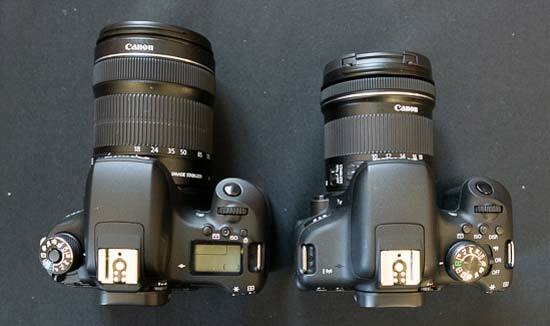 The Canon EOS 750D and 760D are two new mid-range DSLR camera that replace the popular EOS 700D. In a first for Canon, and possibly the industry as a whole, the 750D and 760D have almost exactly the same image quality and features, but offer a different design and handling experience. 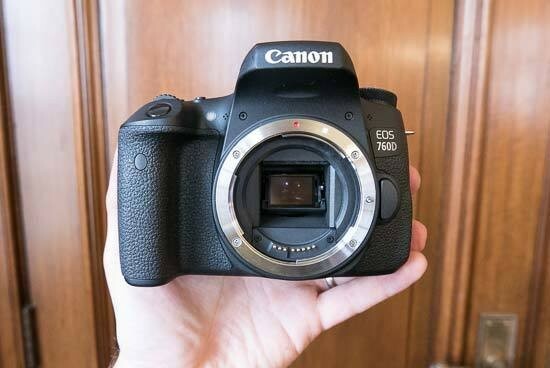 The more beginner-oriented 750D is designed to appeal more to current 700D owners, while the prosumer 760D looks upwards to EOS 70D and even 7D Mark II users. A quick glance at the two cameras side-by-side quickly reveals the key differences between the Canon EOS 750D and 760D. While both models look similar from the front and sport a tilting vari-angle LCD screen, the 760D has a top-panel LCD screen, rear Quick Control Dial and an Intelligent Viewfinder, all features that have trickeld down from cameras higher up the range. As previously mentioned, the 750D and 760d share the same core features - new 24.2 megapixel APS-C sensor, 5fps burst shooting, 19-point all cross-type AF system, Flicker Detection technology and an ISO range of 100-25600. The 760D also additionally offers more creative movie modes, including HDR movie mode and Miniature effect. With only £50 between them body-only in the UK, it will be very interesting to see which model is most popular. Will the "simpler" EOS 750D or the prosumer 760D win out?